Free download Registry Life latest version. The system registry is one of the most important components of the operating system. The stability of the system’s operation depends upon it being in working order, and the speed of the applications you work with depends upon the volume of data contained in it. 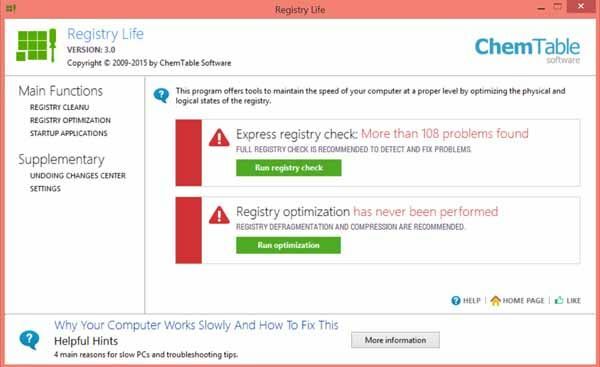 Registry Life helps correct errors in the registry and optimizes it, increasing the system stability. It’s a compact, simple to use, and FREE solution for servicing your system registry.